I first heard about memory techniques from the book Mind Performance Hacks by Ron Hale-Evans. Hack #4 is called Stash Things in Nooks and Crannies and describes how to make a memory journey through a single room. The hack can be read online here. Update for 2016: I changed the way I do this so that the ceiling location is location number 9 and the floor is location number 10. I still use my first 10-step journey daily for quick memorization of things like shopping lists. I prefer to make this kind of journey in larger rooms like restaurants, cafes, halls, and historic buildings, because I like each individual locus to be large enough to fit things like elephants and pterodactyls without shrinking everything down too much. I put up to three images in each locus. I’m not going to do well in 2011. I can’t even practice cards at the moment because of my hand injury, but I’m going to enter anyway. I think the US people should all help each other to bring our scores up to UK, German, and Chinese level within the next couple of years. I think for competitions, one needs many loci, so maybe build a lot of journeys around both systems. In the competitions I’m going to use regular journeys, not the system mentioned above. I think it’s better to go with the consonant-based Major System because if you want to expand to a three-digit system later it will probably be easier than with the Dominic System which has consonants and vowels. In the end, I think the letters that the system is based on don’t matter much, but consonants-only seems easily expandable. I went with a slightly modified Major System which is more strict in which consonants can be used for each number. 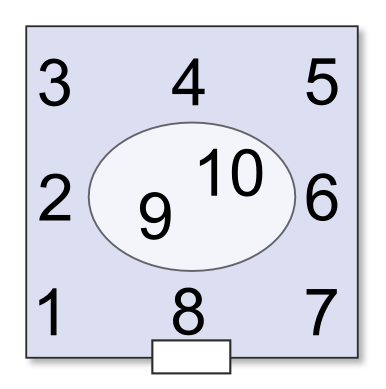 6 is “b” because they look the same, and it uses Ben’s consonant-vowel-consonant technique. Germans have been good about developing resources. From what I understand a lot of their top competitors have trained at XL. Have you tried memo-camp.com (in Englische) to train? German top competitors have written books (Gunther Karsten, Christiane Stenger) which have inspired others. The only U.S. Champ to do so is Scott Hagwood and his book is of little use to either beginners or more than beginners. 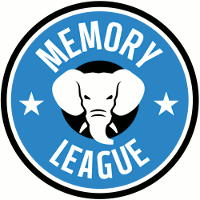 I think the future of memory sports is China and Germany with an occasional top competitor from another country. Nelson Dellis is the best U.S. prospect for top WMC finish. I haven’t tried memo-camp.com beyond just looking around. I work with computers and memory techniques are a way for me to get away from the computer.